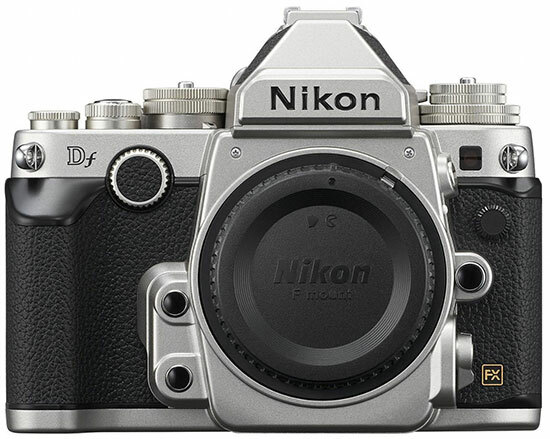 During the first few hours it has been available for preorder, the silver Nikon Df has outsold the black version by a small margin. For sales of the camer body alone, the silver Df is in position #8 and the black at #11. 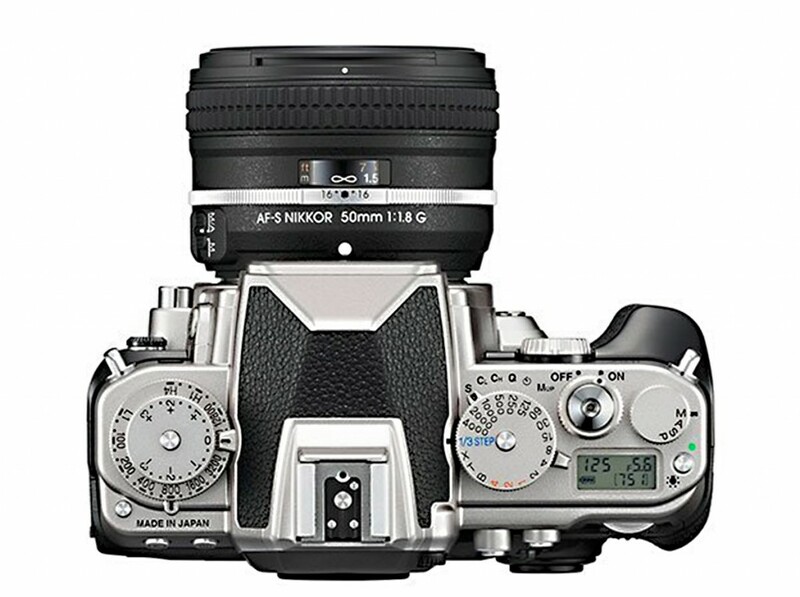 For Nikon Df with the special edition 50mm f/1.8G lens, the silver camera is in position #13 and the black is #18. 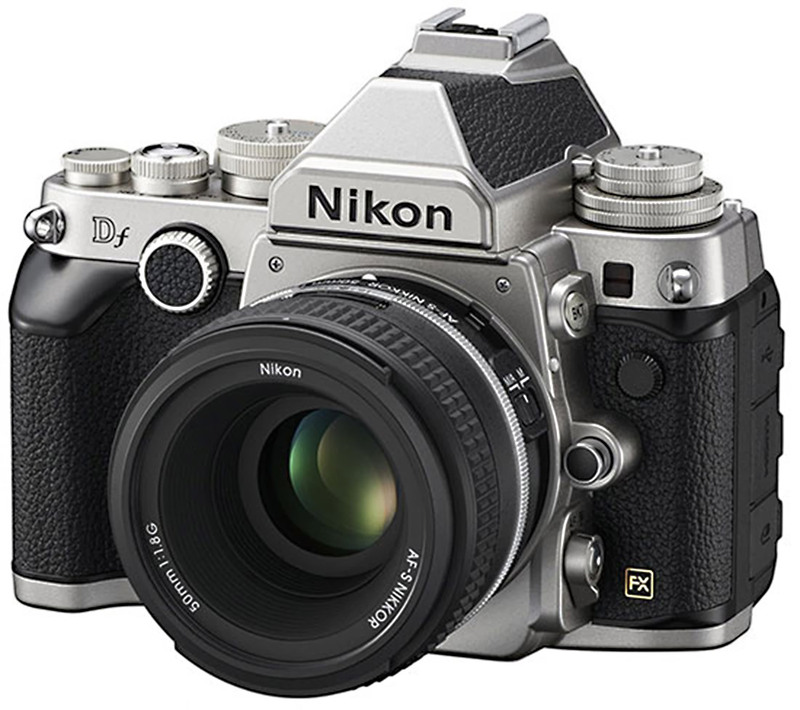 The retro-styled camera has a more distinctive look in silver with black accents and draws many styling cues from the classic Nikon Fm. Historically, Nikon’s silver or chrome cameras has been favored by consumers for their flash, whereas black bodies were for professionals. Vintage black bodies were originally produced in smaller numbers and tend to fetch a price premium on the resale market. The Nikon Df is officially announced by Nikon. The Df offers unmatched control and capabilities continuing the legacy of the Nikon F-mount lens and integrating the latest digital technology. Nikon DF + 50mm 1.8G lens now available for pre-order at Adorama! 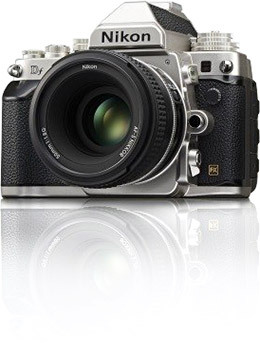 The Nikon Df price is $2746.95 for the body only and $2996.95 with the special matching 50mm f/1.8G lens. 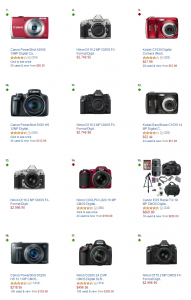 The new Nikon Df camera briefly appeared at Amazon available for pre-order but was soon removed since it was ahead of the official announcement. 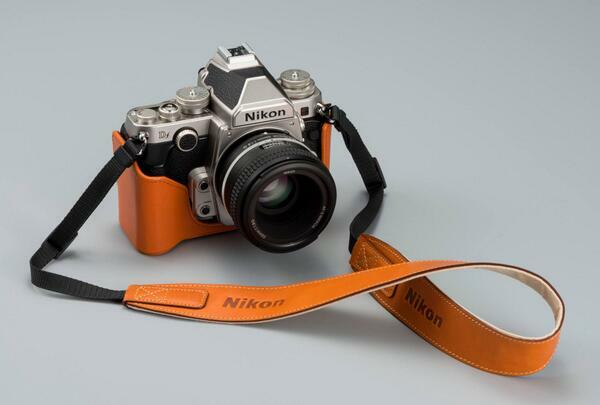 The Nikon Df will be announced on November 5, 2013. The Nikon Df will be shipping on November 28, 2013. It is available in both silver and black finish. It features a 16.2 MP sensor with EXPEED 3 image processing engine. The Df features dedicated mechanical dials for shutter speed, ISO sensitivity, exposure compensation, exposure more and shutter release mode. The 39-point autofocus system has 9 cross-type sensors. It is fully compatible with AF-S, AF-D and AF NIKKOR lenses, as well as AI and AI-S lenses. The camera is sold as a Nikon Df body only as well as a kit with a special edition 50mm f/1.8G lens. It comes in your choice of silver or black. 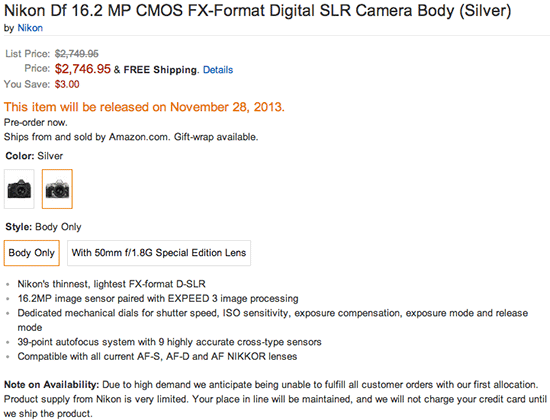 The Nikon Df body only version price is $2,746.95 US Dollars. The kit with 50mm lens retail price is $2,996.95. You can preorder the Nikon Df at Nikon dealers and online retailers. Introducing the Nikon Df, a fusion of digital and film cameras. The Df brings a new level of control and connectivity with photography first. Creating an enveloping experience without distraction is the driving force behind this new concept in digital photography. The Nikon Df represents a new level of photographic experience. Begin with a body form that is both familiar and new. Place all the necessary manual controls easily at hand, and remove the clutter. Then experience photography as it was meant to be, a tool that does not get in the way, but allows full expression. This is the Nikon Df, this is Pure Photography. The blending of new and old brings the strengths of both into the Nikon Df. The camera becomes like a second mind, connecting one to his surroundings without being a distraction. The camera creates only that which the operator wishes, yielding full creative control to only the man and his environment. The Df allows instant feedback and tactile feel of a finely crafted machine. 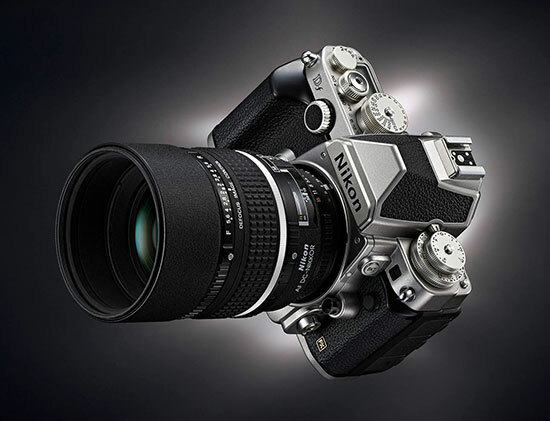 The top panel of the Nikon Df is an homage to the Nikon film cameras of the past, but thoroughly modern in function. Control the exposure, ISO sensitivity, shutter speed, shooting mode and shutter mode all from the dials on the top of the camera. Only the necessary digital display on the top of the Df shows the important information: aperture, shutter speed, shots remaining and battery charge. This reduces the amount of information and gives the photographer instant information and access to make the necessary changes at will. For long exposures and extended live view operation, the included Nikon DK-26 Viewfinder Cover will prevent stray light from entering from the rear of the camera. Magnesium-alloy construction provides a durable, light weight body. 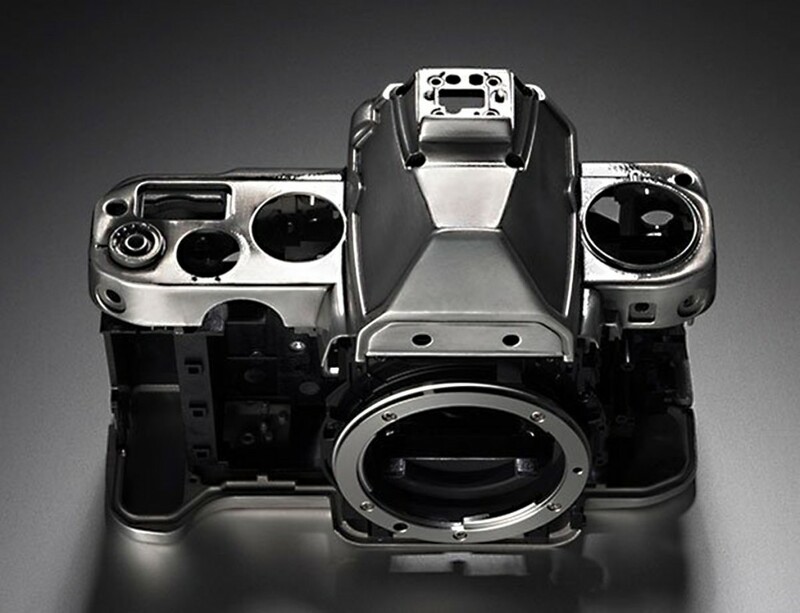 The critical areas on the top and rear of the Nikon Df camera body are made from magnesium-alloy material. 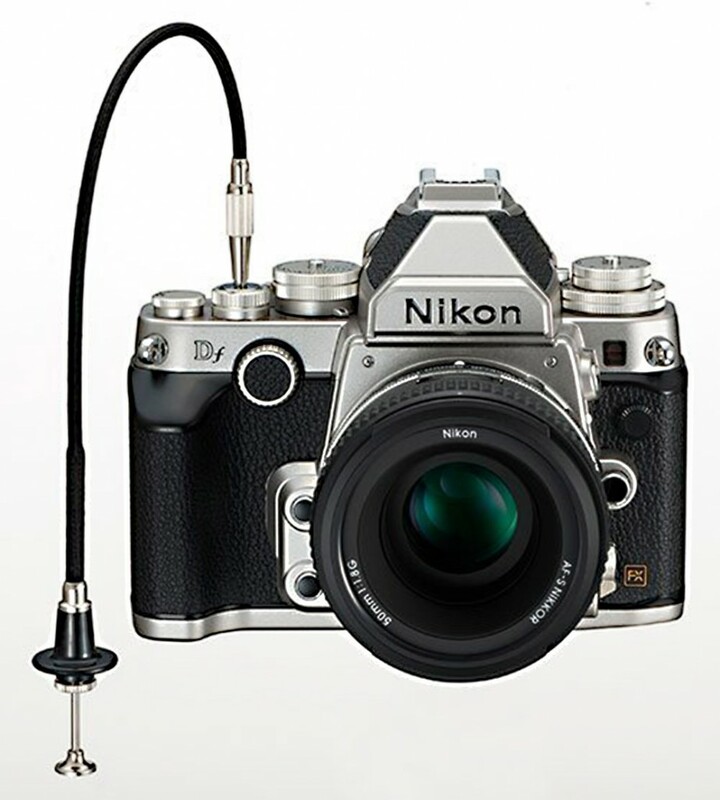 A mechanical remote trigger connects directly to the camera shutter button, as in the past with film bodies, the new Nikon Df continues the tradition of simplicity and control. Modern weather-sealing gaskets ensure the Nikon Df will withstand harsh environments you may encounter on any photographic journey. The placement of seals on body seams and control buttons and dials create a professional level of durability. The shape of the Df brings all these controls to hand, with function over style, yet with much thought given to materials and aesthetics so that the Df will be instantly recognizable and an eternal classic in the lexicon of Nikon. 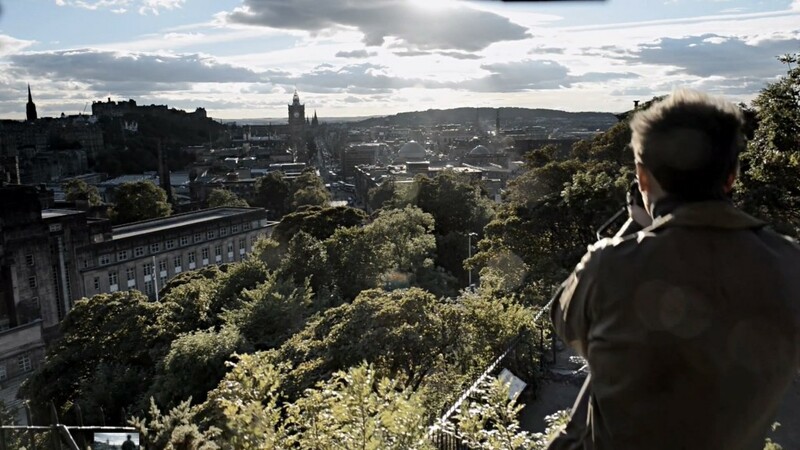 The beautiful scenery of Scotland serves as a backdrop for the series. 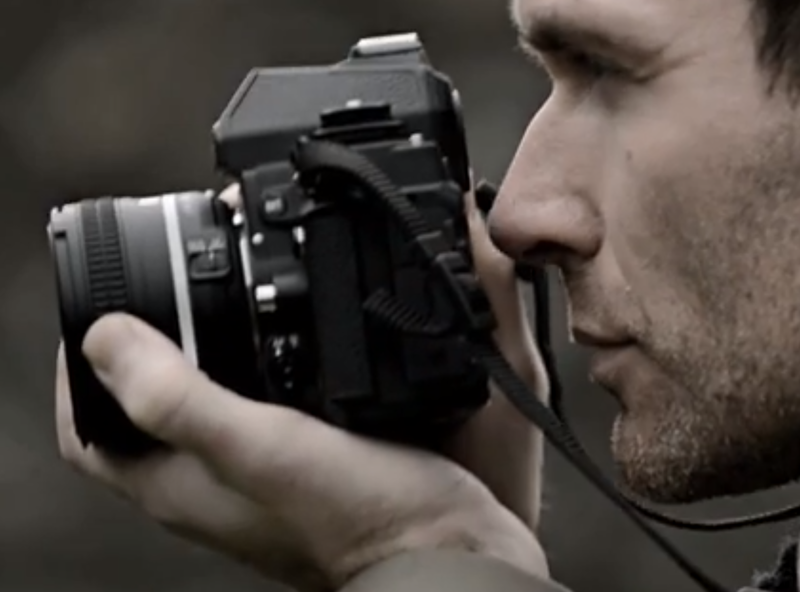 We follow a photographer on his journey to discover himself and also a new camera, the Nikon Df. The manual controls on the Df allow for a seamless, connected photographic experience. 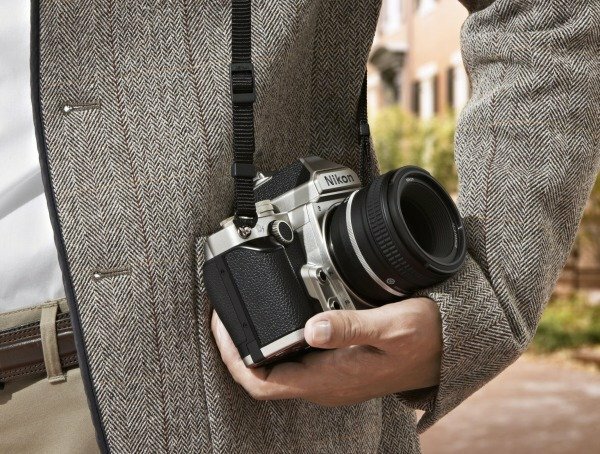 Blending the familiar form and simplicity of beloved Nikon film cameras and modern digital technology yields a new type of camera. This new connectiveness breeds an unhindered creative experience. Witness the experience of Pure Photography firsthand, with the Nikon Df. 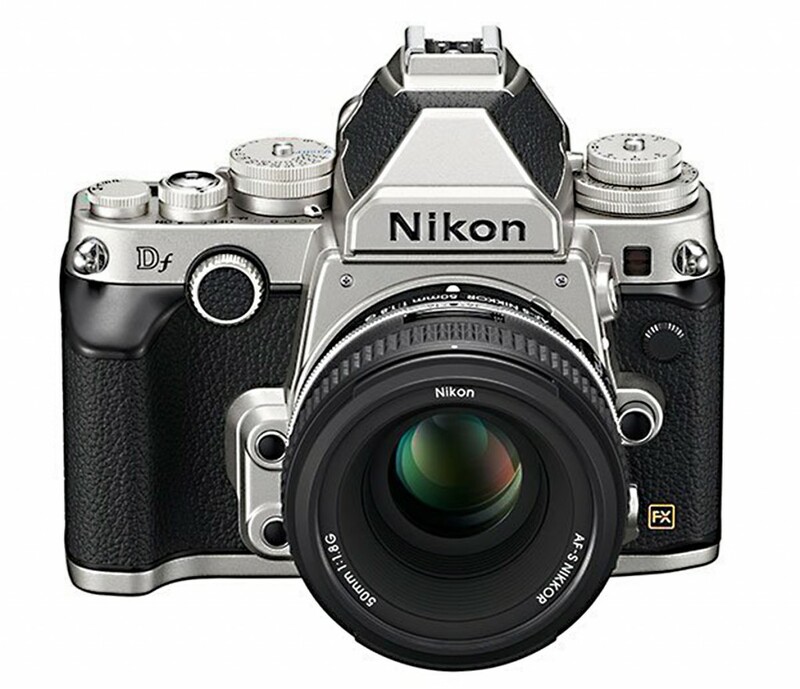 The Nikon Df will be announced on November 5, 2013. The Pure Photography series has created tremendous interest from photographers around the world. Join them in welcoming the new Nikon Df. Visit your local Nikon dealer or online retailer to preorder the Nikon Df today. 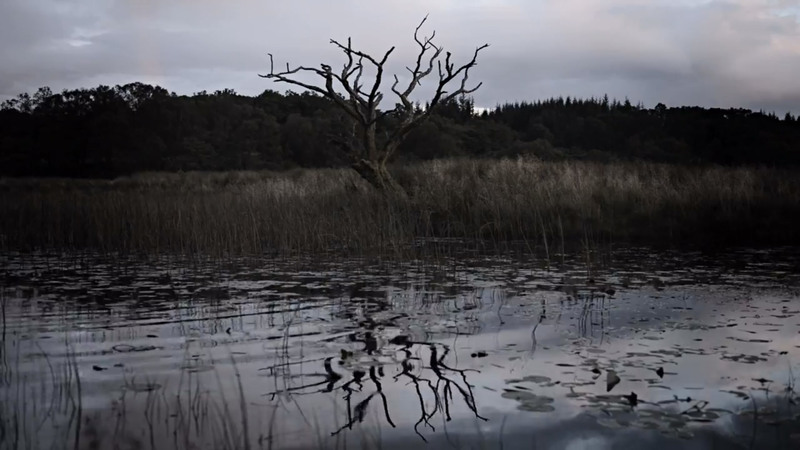 Nikon’s Pure Photography #5 video revealed many features of the new Nikon Df for brief moments. We have taken select frames from the video and enhanced them to show detail. We can now better understand exactly how this camera compares to the rest of the FX DSLR line, and have an idea about where Nikon will position the Df in price relative to their existing cameras. The side shot clearly shows the profile of the Nikon Df, with a relatively narrow body and protruding lens mount. The button layout is similar to other professional-level DSLR, with three separate covers for the side ports. 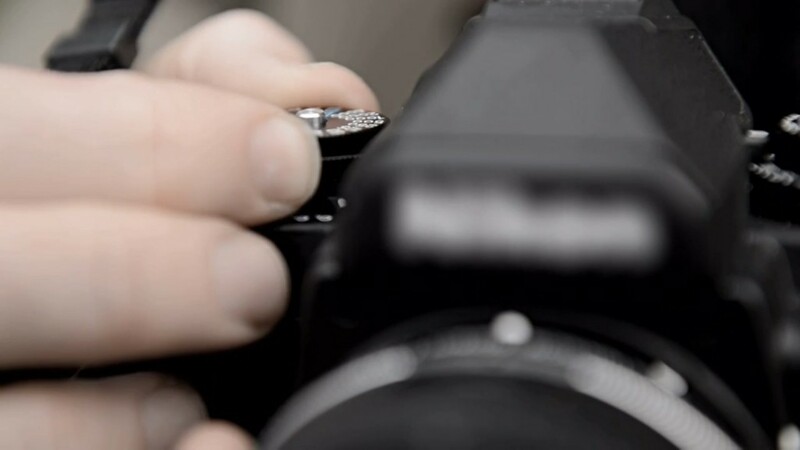 The in-body auto focus motor lever is in a familiar position, and even appears to have the center button to control auto focus mode. Above that is the lens release. On the front of the Nikon Df we see the flash sync port. Up futher on the body up by the lens mount is the white alignment dot seen on recent DSLR. Above that is a dedicated BKT button for controlling bracketing mode. The top of the Nikon Df has a dial which is most likely a mode dial with center lock. The ring below it could set the shutter mode. 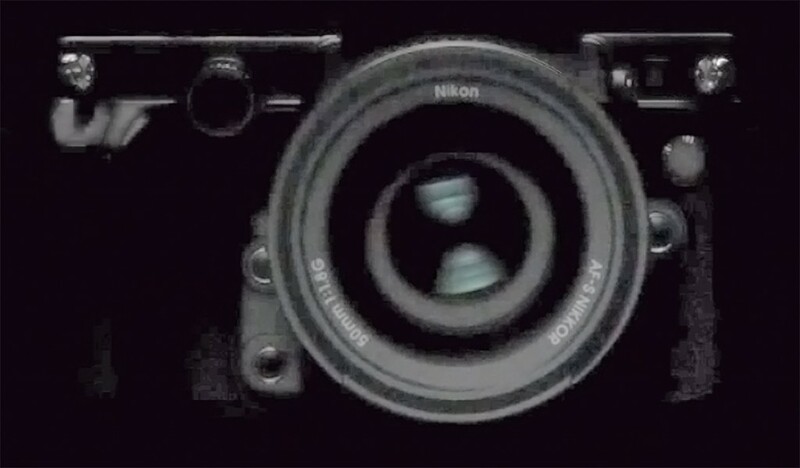 On the back of the Nikon Df we see a familiar round viewfinder similar to the D4 and D800. The lower level D600 has a square viewfinder. At the top we see the standard flash hot shoe. Speculating further, there is a slight raised area on the corner near the back where we would expect to find the left side buttons for the menu and playblack controls. 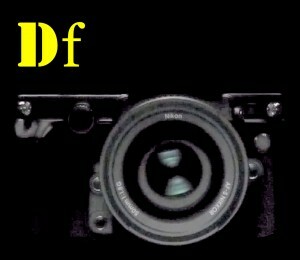 For users of existing Nikon DSLR the layout of the Nikon Df will seem very familiar. Next we have a good view of the back right side of the Nikon Df. 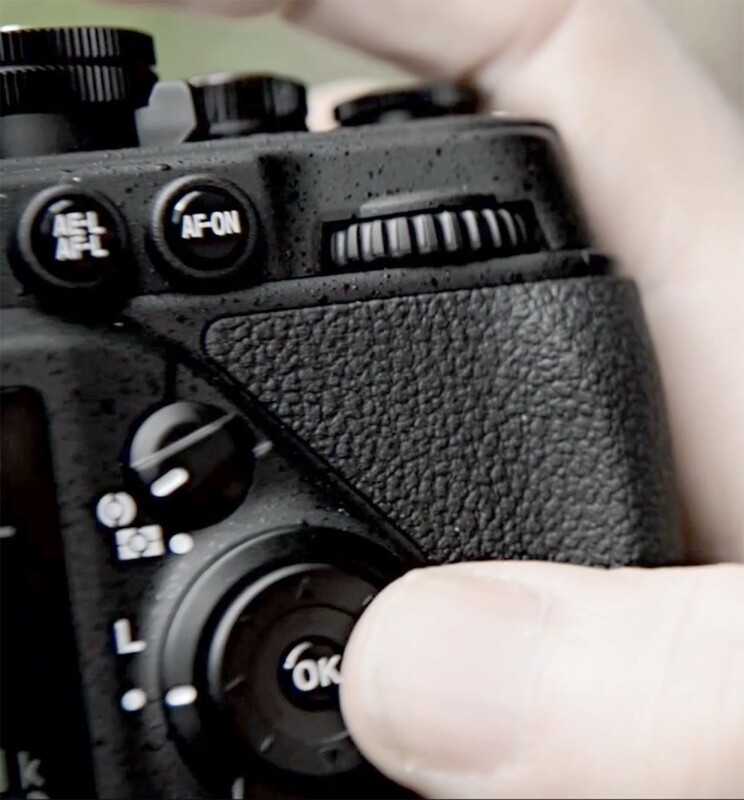 The dedicated AF-on button will please those familiar with the professional DSLR bodies. The rear command dial will be likewise familiar to those of the Nikon system. There is a rear directional control with center OK button surrounded by a focus area lock. Above that is a metering mode selector to select center-weighted, matrix or spot metering. 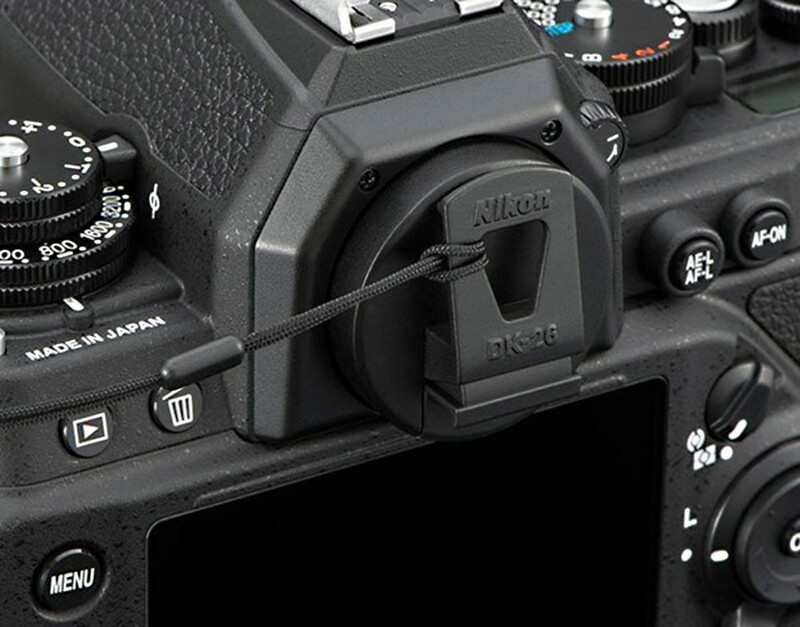 The contoured thumb grip on the back appears to be substantial enough to help hold the Nikon Df with one hand. 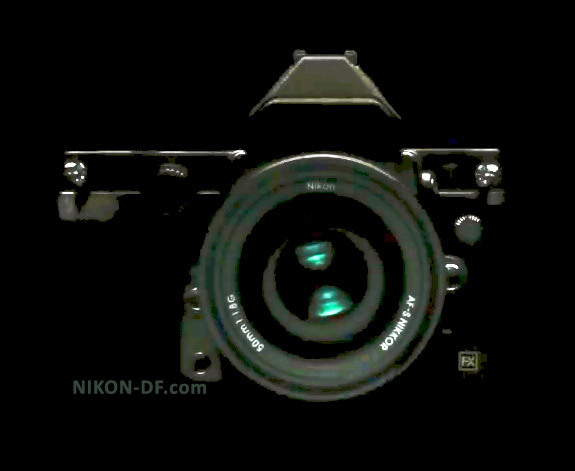 With this rear view of the Nikon Df we can now confirm Rear LCD screen. It appears to be similar to the 3.2-inch LCD used on several existing Nikon DSLR. It apparently shows an INFO screen in the above shot. The top of the Nikon Df is what makes it unique from existing Nikon DSLR. We see in this close-up of the shutter speed selector the speeds 4000, 2000, 1000, 500, 250, 125, 60, 30 representing 1/4000 maximum shutter speed and slower. Next to the 4000 we see what appears to be 1/3 Step which would apparently allow alternate speed selection using a command dial. There is a center lock that toggles on and off to prevent the setting to be accidentally changed. Other markings on the top of the camera are out of focus, but appear to be selections on a secondary dial with an indicator pointing to the far right. What is clear is that the Nikon Df allows more direct control than any other Nikon DSLR and would seem to do so in a very well styled and ergonomic fashion. 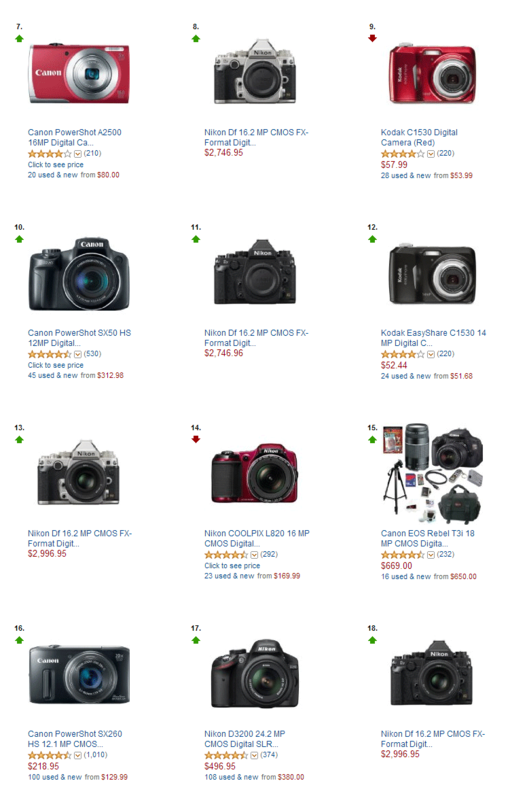 Its level of professional build and control would place it above the D600, but slightly below the D800 and D4. This makes a price in the area between $2000 and $3000 US dollars likely. With a special edition 50mm 1.8G kit lens it could well be placed near $2799 and body only near $2599. The retro style and control will attract many, and we fully expect this camera to be in very high demand. Those wanting to get their hands on one will want to pre-order the Nikon Df as soon as it is announced and available for ordering. 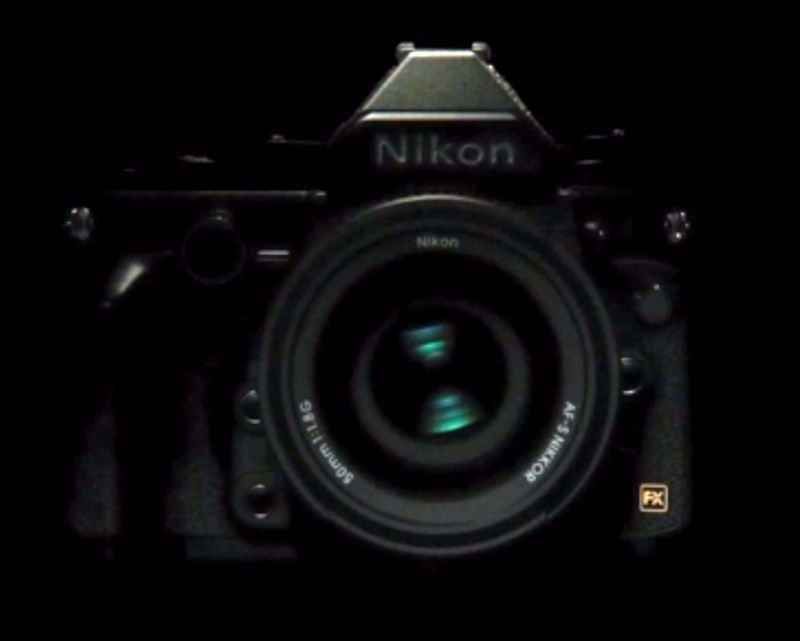 The Nikon DF is nearly completely revealed in Pure Photography #5 video. The rear of the camera can be seen showing many of the controls. 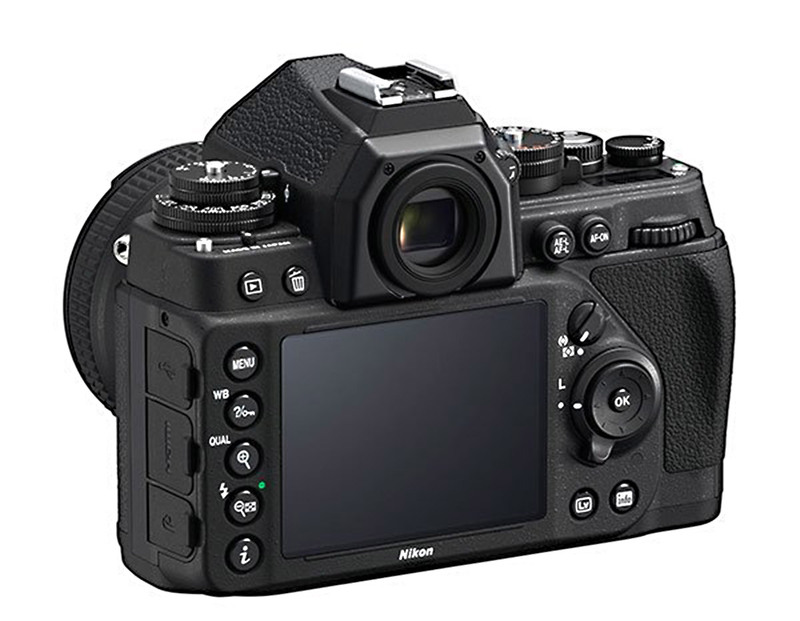 The layout is similar to that of existing DSLR and slots above the D600, having more professional-style AF on button as well as a metering mode selector. The rear command dial and directional control with center OK button and focus selector lock will be familiar to current Nikon DSLR users. What are new are the metallic-appearing top dials. 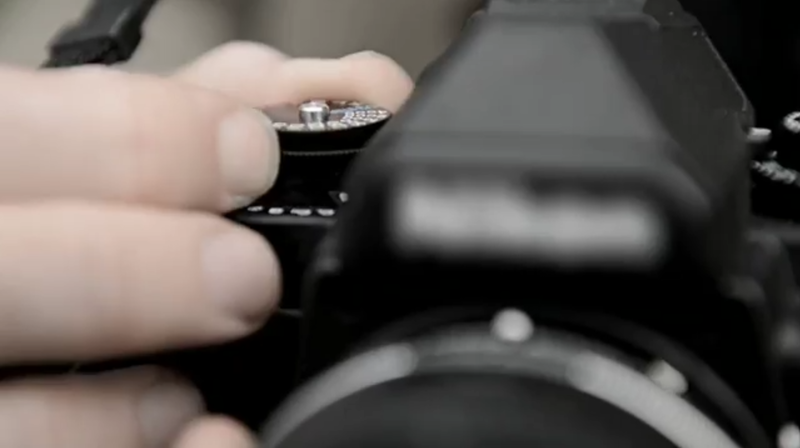 The top of the camera can be seen in the frame above, having a dial to select shutter speed and a maximum shutter speed on the dial of 1/4000th second. The center button is most likely a lock that can be toggled on and off. The left side of the Nikon DF camera can be seen in detail, showing the full profile of the raised viewfinder hump and hot shoe. 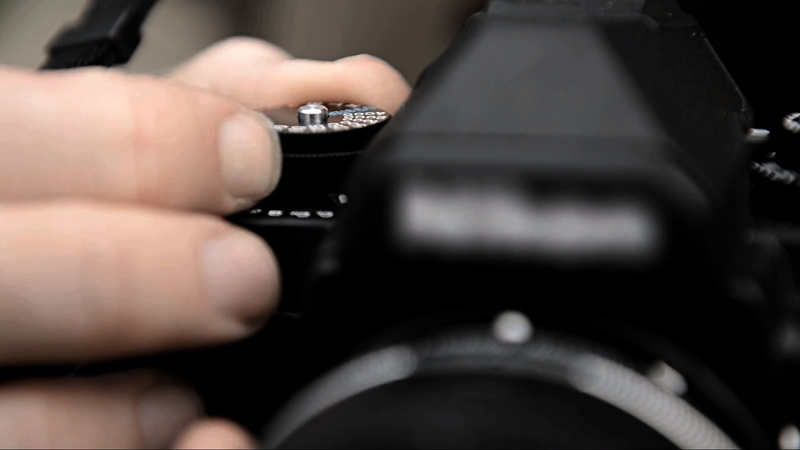 The side of the camera has the traditional AF/M auto focus selector that controls the in-body focus motor coupling. The special 50mm 1.8G also has a similar AF/M switch because it is an AF-S lens with internal motor. 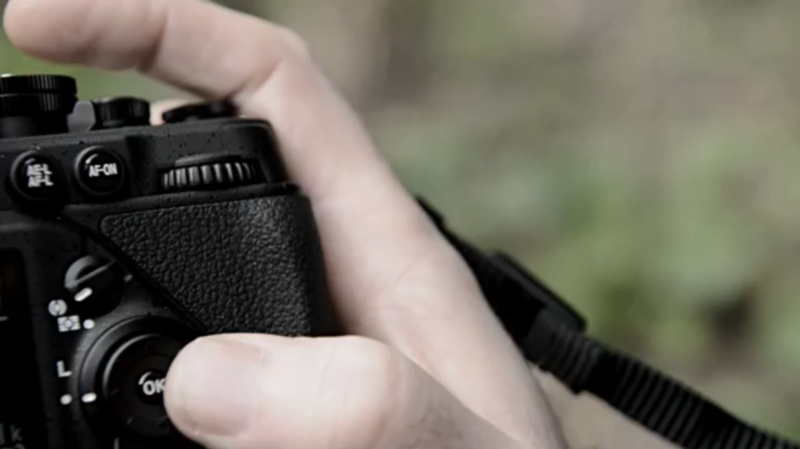 The side of the camera appears to have rubber covers similar to existing DSLR to protect the various inputs and outputs. The viewfinder appears to have a round rubber eyecup similar to the pro-level cameras, not the rectangular one of the D600. 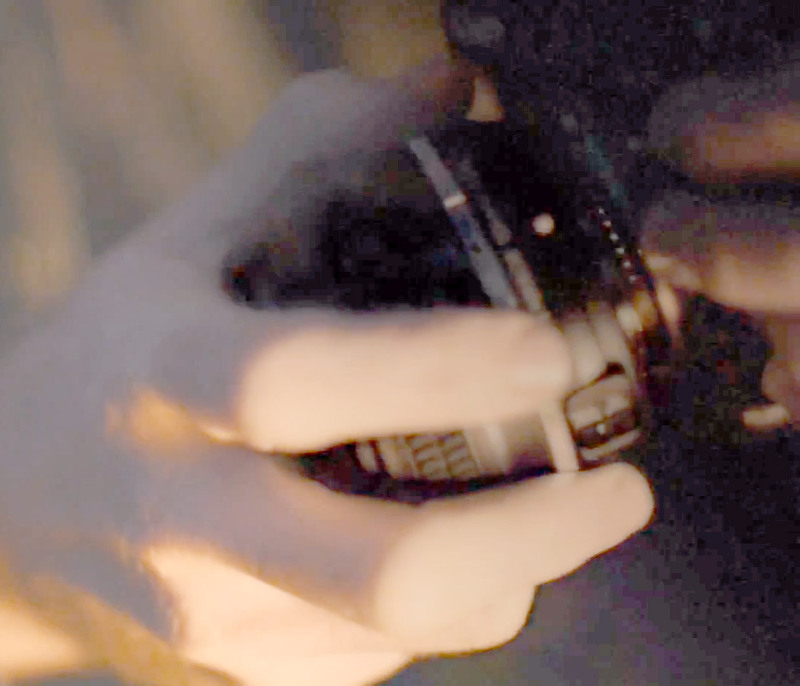 The Nikon DF is almost totally revealed in Nikon’s Pure Photography Video #4. The above composite shot was created by combining details frame by frame from the end of the video. It shows the front of the Nikon DF camera with raised pyramidal viewfinder and front knobs and buttons. Also visible for the first time is the FX logo, confirming that the new retro-style camera will feature a full frame sensor. The side view of the special Nikon 50mm 1.8G for the Nikon DF shows the raised rubber grip with two rows of grooves that is similar to earlier Nikon lens designs. The current 1.8G lens has one row of long raised grooves. The silver aperture ring is also visible at the right edge of the frame. This front shot of the Nikon 50mm 1.8G shows the grooves on the machined metal aperture ring. The front of the lens is partially obscured in shadow, but with further enhancement more of the lens elements can be seen. In this enhanced photo, the recessed front element, filter thread and focusing ring are clearly visible. The raised sections around the outer edge of the rim show where the lens hood will attach. Internally this lens could be identical to the existing 50mm 1.8G, merely with a mechanical or electro-mechanical aperture selection ring and new aesthetics to match the Nikon DF. The back corner of the camera is visible in this over-the-back shot. The details in the camera are not very visible, however upon magnification and enchancement some details can be seen. 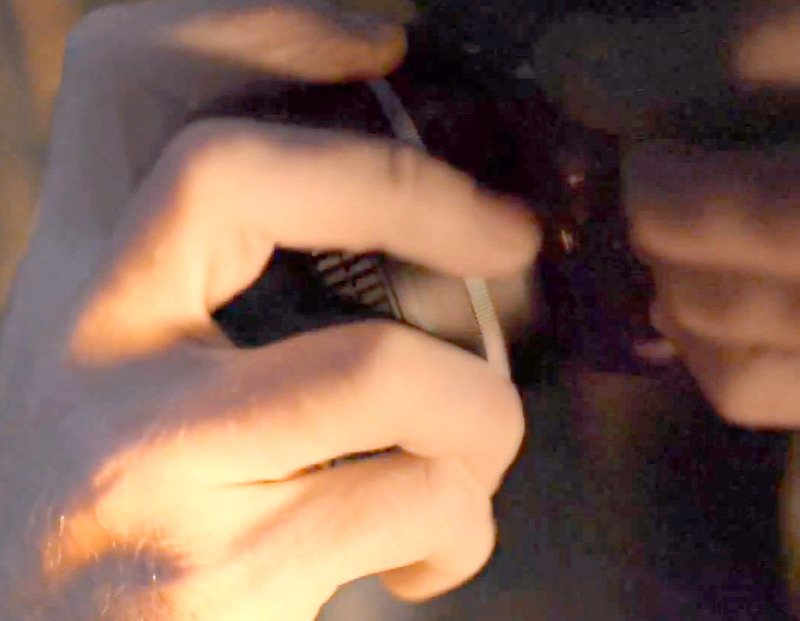 The close-up appears to show the section of the back of the camera that would normally contain an LCD. In these shots it is not clear if there is an LCD screen there or not. The video resolution does not contain enough detail to confirm, however there is no evidence of a rear screen and the camera body appears to be continuous from the side of the camera to several inches along the back side, a place where an LCD normally resides. 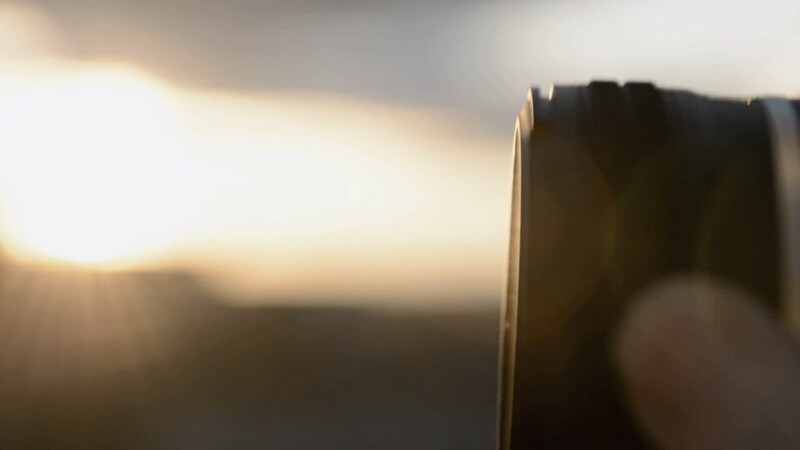 As the video ends, the narration concludes, “the camera leads me somewhere new.” Indeed, the Nikon DF marks a new direction for digital photography. 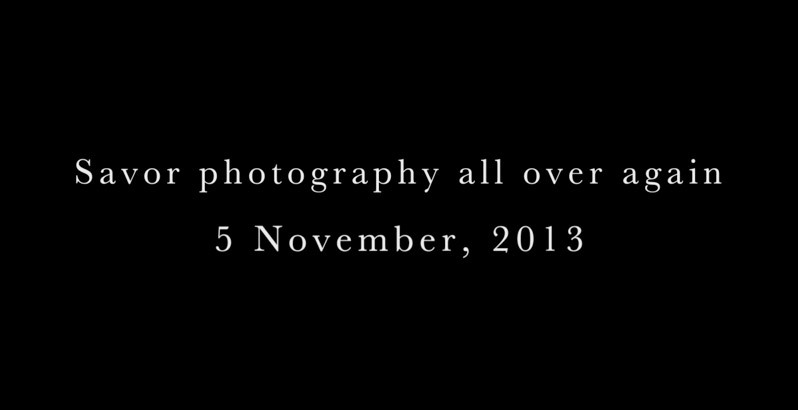 The Nikon DF Pure Photography Video ends with confirmation of the announcement date: November 5, 2013. Stay tuned for a close-up look and analysis of additional details from the fifth video of the series which should be released in the next two days. The Nikon DF announcement will be in one week from today on November 5, 2013. The DF represents a return to photographic roots by offering the photographer with full manual control and support for all Nikon F-mount lenses produced over the past five decades. The DF will work with modern AF-S and G lenses, older AF, and still over AI, AI-S lenses. The camera may also incorporate a movable AI-coupling to allow compatibility with Non-AI lenses since the F-mount was introduced in 1959. 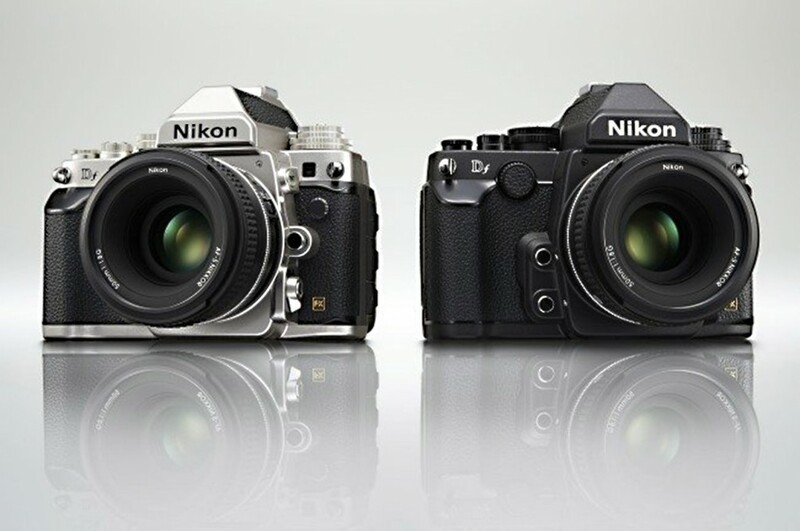 This would make the DF the most compatible camera ever produced in Nikon’s history. The DF will incorporate cutting-edge technology in its 16 megapixel digital sensor, building on Nikon’s flagship D4 technology. The 35mm full-frame (FX) sensor is optimized for the best combination of image quality, color depth, dynamic range and low-light capabilities. The body of the DF places all the necessary controls easily at hand and provides unmatched mechanical feel and tactile feedback. The result is both aesthetically pleasing and instantly timeless, reminiscent of early Nikon FE bodies. A special version of 50mm 1.8G lens is standard with the DF. By adding a manual aperture ring and styling to match the new body, the combination is a meld of modern technology and classic performance. The third in a series of videos shows the Nikon DF kit lens and a good view of the front of the camera. 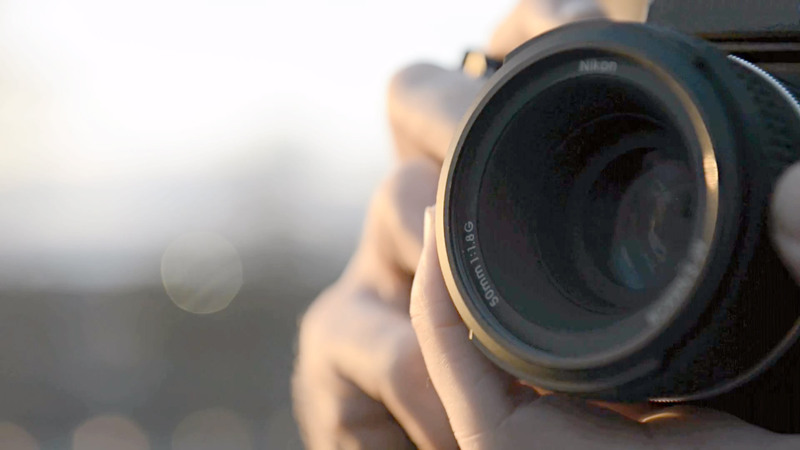 This lens is a 50mm 1.8G lens based on the existing AF-S lens, but it has an aperture ring. As the man is cleaning an AF Nikkor lens, a bird or birds are heard rustling as if to take flight and the character installs the 50mm lens on the Nikon DF body. Camera strap lugs are on the front of the camera. This allows a half-case to be installed on the camera. It will also help balance the camera when hanging on the chest with a lens attached. 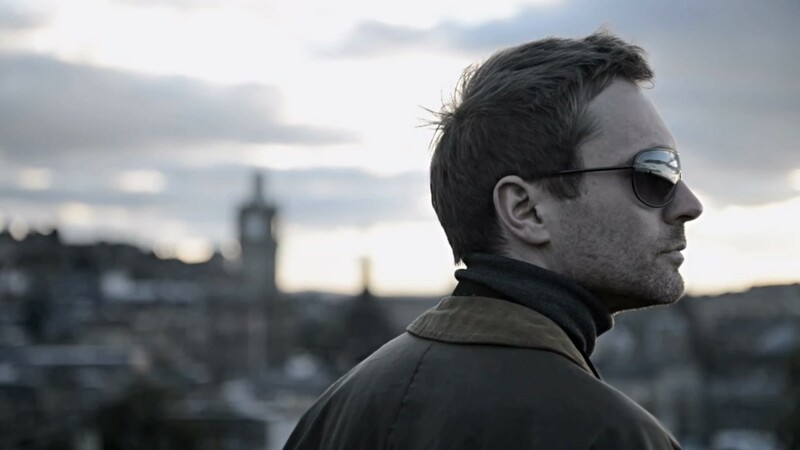 And what is the silver ring on the lens? An aperture ring on a G lens? Nikon is going back to manual controls on the Nikon DF and they are making this version of the 50mm 1.8G with a aperture ring. 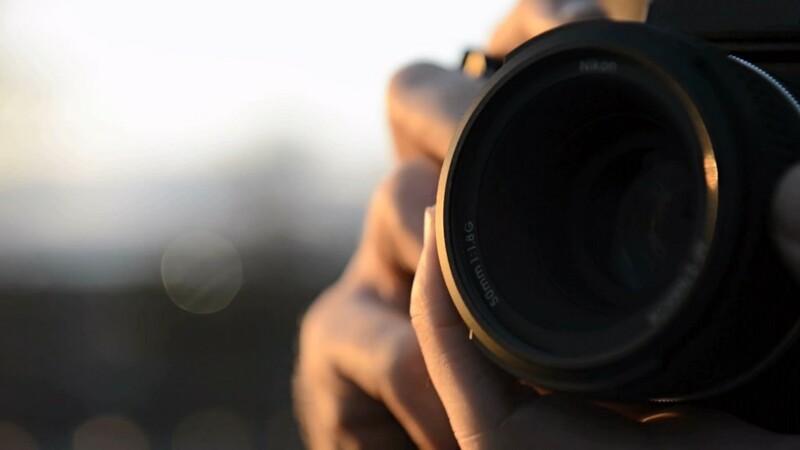 This lens has a built-in focus motor (AF-S) as indicated by the auto/manual focus mode switch. 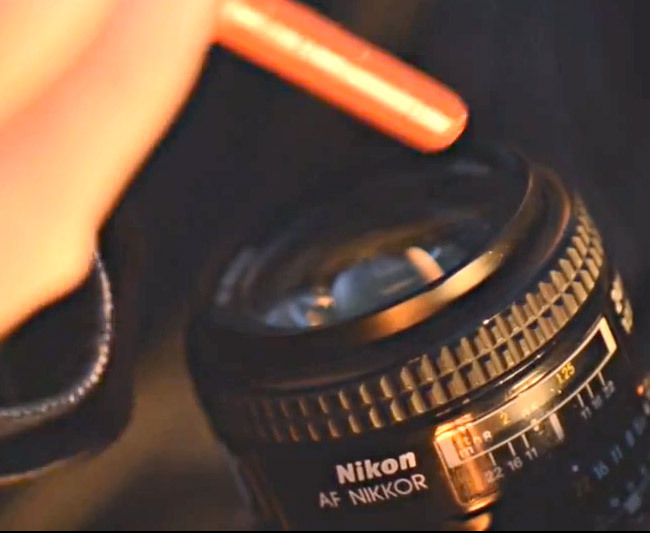 The lens other shown in this video is the AF Nikkor 28mm f/2.8D autofocus lens. 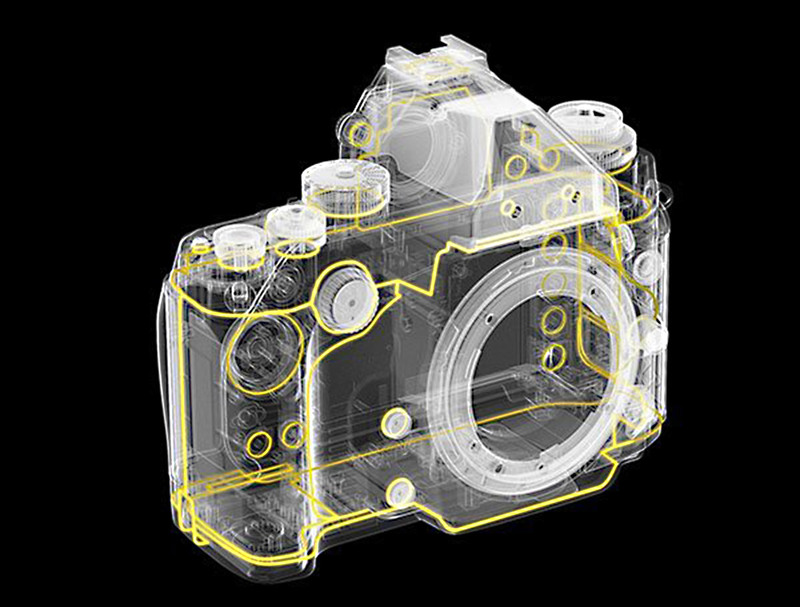 This implies the Nikon DF will have an in-body auto focus motor to be fully compatible with existing AF lenses. We expect it will meter with AI and AI-S lenses too. Nikon Df + 50mm 1.8G lens available for pre-order at Adorama!